Five on Friday! | Glori Online "Blessed with Pink & Blue": Five on Friday! Can you believe it is November? Wow! Time is flying. My birthday is this month, and thanksgiving, which is one of our favorite holidays. Lots to be thankful for!! Ever heard of Fresh 20? 20 ingredients, fresh food and spices, 20 minutes a day plus up to an hour prepping on the weekends and you have yourself a week of tasty dinners. I haven't signed up yet, but got a 3 meal trial I am going to try next week. yum! Another Halloween has officially come and gone. We had so much fun this year, Gianna was able to say trick or treat and really get into this fun holiday. 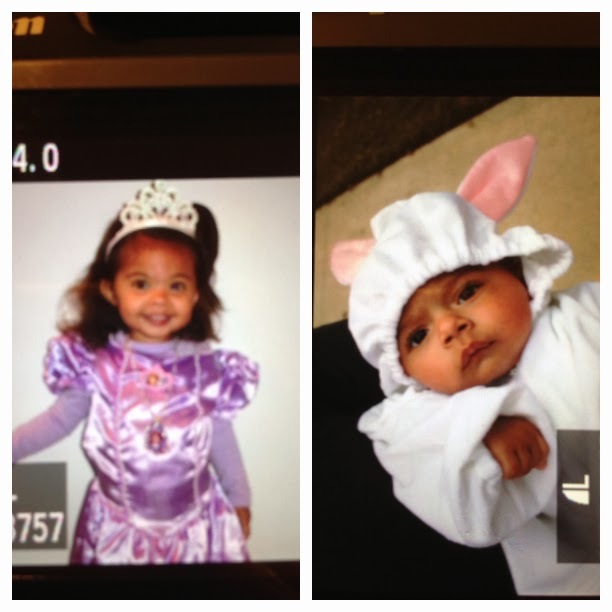 Here is a little teaser of our Sofia the First, or Princess Gianna and her bunny Clover. The ipad air came out, I think I am going to be putting it on my birthday wish list. Going to the store tonight to "hold it". Looking forward to an awesome weekend! Cheers everyone! Thanks girl!! me toooooo!!! I hope your week is going wonderful!